The problem seems to be because nobody knows who is responsible for each piece of land. “No-one knows whose land is whose, so nothing ever gets cleared up. Residents have complained to environmental teams but they’re not responding,” he said. The council said it was aware and even though it is not their responsibility they took action to ensure that it was cleared. Harrow Council, said: “This filthy eyesore was on private land that’s unfortunately been used as a dumping ground for all sorts of waste by disgusting people with no respect. “It’s not our land to clear, but we do have powers to take action – and that’s what we’ve done. 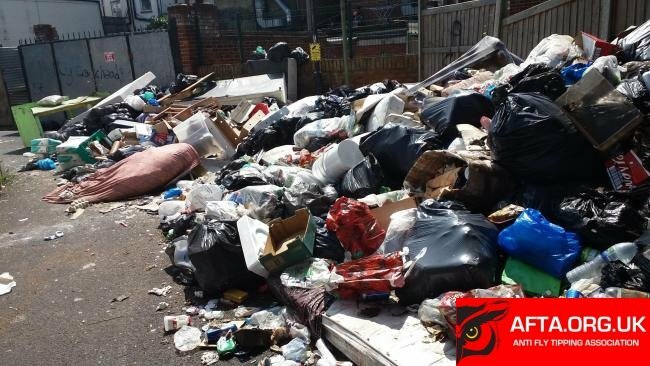 Harrow Council are pleading with residents to continue to report all instances of fly-tipping via the council’s website.